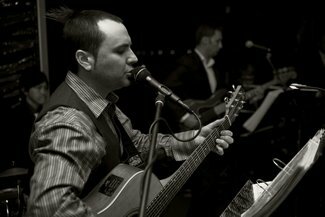 As one of Sydney’s most in demand wedding and function entertainers Gary can add that extra something to your special event. The Gary Johns Band line-up can be specifically designed to suit your function. The usual 4-piece can be expanded to add in extra musicians or Gary is available solo, as a duo or trio. The Gary Johns Band plays everything from laid back jazz to hot Latin hits, today’s chart toppers to all the classics. Gary and his obscenely well-presented and talented colleagues will make your event a success to be talked about.